The 2019 Hyundai Veloster is new, improved and better than ever. The designers and engineers at Hyundai have upgraded the interior and introduced new technology and an array of new driver assist safety features all built on a new platform. The really big news is that Hyundai is also introducing the Veloster N, the first N product to be released in North America. Available in Base, Turbo, Premium, R-Spec and Turbo Ultima trims, the 2019 Hyundai Veloster boasts some excellent standard equipment. 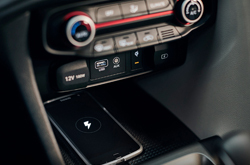 The Base and Premium models come with a six-speed manual transmission, independent suspension, automatic emergency braking, forward collision warning, 17-inch alloy wheels, rearview camera, a 7-inch touchscreen, as well as Apple Carplay and Android Auto and two USB ports. The Premium trim features an 8-inch touchscreen, 4.2-inch instrument display cluster, eight-speaker Infinity audio system, a leather-wrapped steering wheel, heated front seats, a sunroof, automatic climate control, blind spot warning and 18-inch alloy wheels. Choose the Veloster Turbo R-Spec and you gets added features like LED low beam headlights with high beam assist. 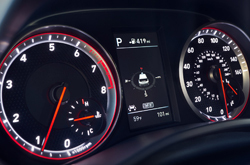 The Turbo model of the 2019 Hyundai Veloster adds an optional seven-speed dual-clutch automatic transmission, rear cross-traffic alert as well as a driver's seat with lumbar adjustments. The top-of-the-line Turbo Ultimate has full leather upholstery, built-in navigation, heads-up display and an available two-tone roof. Opt for the available automatic transmission and you also get adaptive cruise control. Turbo variants of the 2019 Hyundai Veloster all have unique steering and suspension calibrations as well as an active sound enhancer that channels the sound of the engine through the speakers. The Veloster Turbo is powered by an updated 201 horsepower 1.6-liter engine that delivers 195 pound-feet of torque. Its overboost feature quickly increases its torque to 202 pound-feet. Equipped with its six-speed manual transmission, the Veloster Turbo gets an estimated 26 mpg in the city and 33 mpg on the highway. Add the manual transmission and the numbers increase to 28 and 34. What Is Under The Hood of the Veloster? Expected in the U.S. in late 2018, the vehicle features a 275 horsepower 2.0-liter turbo-four engine and a six-speed manual transmission that offers automatic rev matching. Together they produce 260 pound-feet of torque. The Veloster N comes with adaptive dampers as standard equipment. Add the optional Performance package and you get a mechanical limited-slip differential that's electronically controlled, as well as 19-inch alloy wheels wrapped in P-Zero summer performance tires from Pirelli. The company has also added a brand new 147 horsepower 2.0 liter, I-4 engine which delivers 132 pound-feet of torque. The new Veloster also comes with an available 1.6-liter turbo-four engine. With its manual transmission it gets an estimated 25 mpg in the city and 33 mpg on the highway. The automatic transmission helps it produce an estimated 27 mpg in city driving and 34 mpg on the highway. 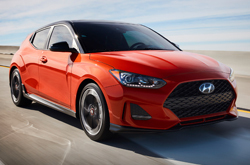 The redesigned 5-seater 2019 Hyundai Veloster kept its distinctive sweeping roofline and retained its three doors hatchback configuration and other elements that keep its unique personality intact. Even in models with the basic cloth interior, the stylish, comfortable, interior treatment of the Veloster still exudes refinement and sophistication. Its powerful engine and smooth-shifting, precise transmission, deliver quick overall acceleration, entertaining handling and a sporty, spirited driving experience in both stop-and-go traffic and on the open highway. The 2019 Hyundai Veloster offers great value. 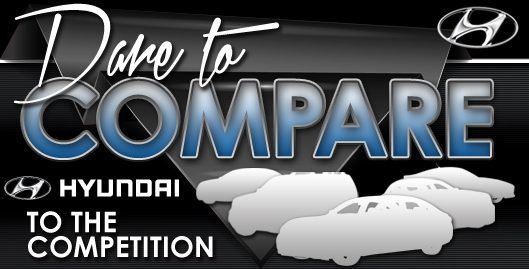 Stop by Van Hyundai today to take a test drive.